GoGreenRide is a reliable, affordable, environmentally responsible car service with the main goal of leaving a better world behind. • Reliability - Know you’ll get where you’re going on time without any worries. Our mobile app allows you to ride now or later, and we’ll be there on time (or tell you right then if we can’t be). Our app also enables you to track whether your car is on its way. 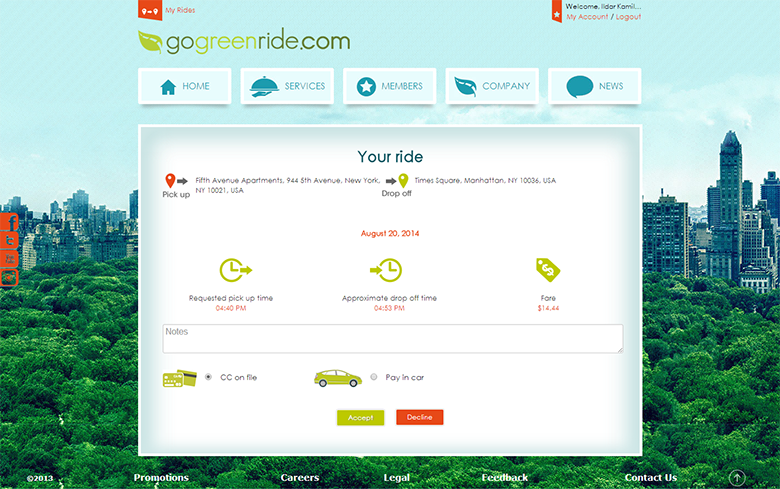 • Affordability - With our luxury service and top of the line amenities, GoGreenRide is as convenient as the black car service but at pricing on a par with the yellow cab. • Consistency - Whether you book a ride from your house on the weekend, or an early morning ride from your office to a client meeting, be sure that you’re getting the same quality each time. No guessing work. • Environmentally Responsible - Our army of hybrid cars produces only a fraction of carbon emissions of most car service vehicles. 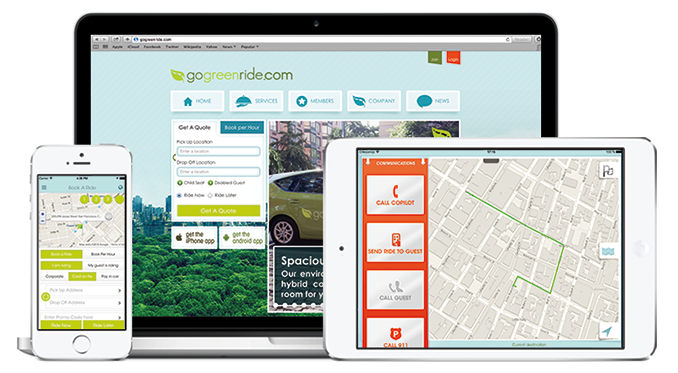 GoGreenRide is committed to sustainable practices. We also partner with Carbon Neutral, a carbon reduction and carbon offsets company, to purchase carbon credits so GoGreenRide is carbon neutral. 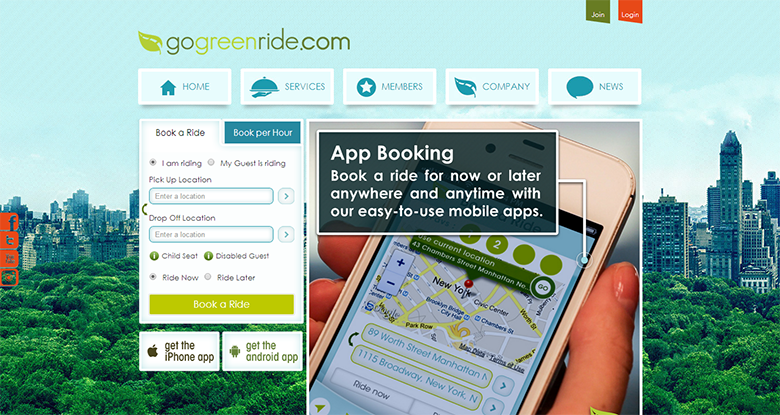 • Innovation - The GoGreenRide experience keeps you plugged in. Each of our cars is decked out with complimentary wifi, an iPad, electrical chargers for most phones, and bottled water on select rides. Whether you GoGreenRide for business or pleasure, we are constantly living our values and commitments to guarantee you the same quality every ride. The apps are currently available, download and give us 5 stars please!